The dulcet ring of the oud is impossible to miss on the soundtrack of Yahudi, Bimal Roy’s unlikely Bollywood historical made in 1958 about the persecution of Jews in ancient Rome. The background score, composed by Shankar and Jaikishan, has a vaguely Middle Eastern feel to it and as the plot twists and turns, it often falls to the versatile Arabian stringed instrument to signal the swirling emotions. As massacres are ordered, betrayals ensue and Dilip Kumar falls in love with Meena Kumari, the oud sobs, sighs and sings to enhance the mood on screen. It could easily have descended into kitsch. Perhaps the reason it didn’t was the fact that the man plucking the strings, Isaac David, was well acquainted with Middle Eastern music. David was Jewish himself and in the early years of the last century, he had polished his art by playing with an ensemble in Mumbai that recorded four discs of Iraqi Jewish tunes for the Hebrew Record label. 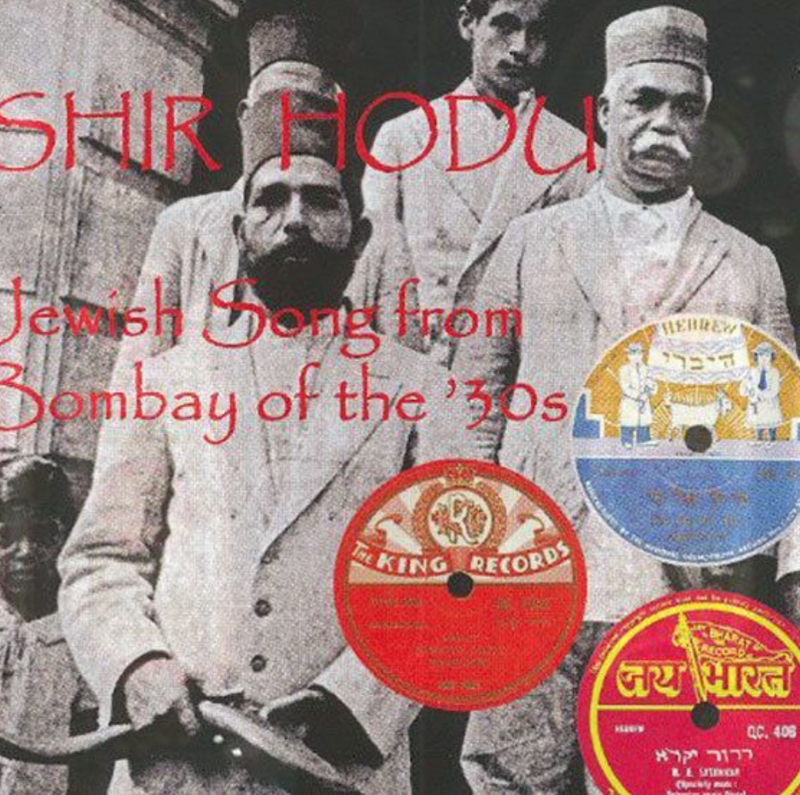 Some of those tunes can be heard on a collection called Shir Hodu: Jewish Song from Bombay of the ’30s, which offers a fascinating reminder of the city’s cosmopolitan heritage. Released in 2009, the 15 archival tracks on the album have been painstakingly put together by Sara Manasseh, a Mumbai-born Iraqi Jewish ethnomusicologist who now lives in London. During the 1930s, Mumbai was “a musical kaleidoscope”, Manasseh says in her liner notes, and the pieces included music and Jewish prayer chants in Hebrew. In 2012, Manasseh explained the historical and theoretical context of this music in a book titled Shbahoth – Songs of Praise in the Babylonian Jewish Tradition: From Baghdad to Bombay to London. Mumbai has long been home to three distinct Jewish groups. The largest is the Bene Israel, who believe that their ancestors were shipwrecked off the Alibaug coast in 175 BCE. From the nineteenth century, Iraqi Jewish traders – Manasseh’s ancestors – fleeing religious persecution began to settle in the commercial capital. This group came to be known as the Baghdadis. In the 1930s, a small number of Jews from Kochi, whose ancestors had arrived in Kerala in the 10th century BCE, also lived in Mumbai. 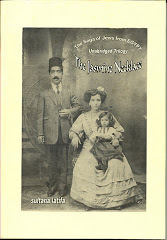 Both the Bene Israel and the Baghdadis had vibrant musical traditions in the 1930s. The Bene Israeli repertoire was in Marathi, drawing its themes from the Psalms and other Biblical sources. Among the prominent community musicians was Nathan Solomon Satamkar, a dashing silent movie actor whose family established two musical schools to provide instruction in such instruments as the sitar and the dilruba, Manasseh said. HaMori Hazaken, a tribute to the strict religious teacher to which young Jewish boys were sent in Yemen. The festival held annually in Eilat has grown from a small event serving a few hundred to a massive cultural event that attracts thousands of people, with some people even booking flights from New York and Los Angles just to attend. This year, Yemeni culture will be celebrated with Yemenite costumes, traditional foods, and a special Shabbat custom called Ghala. Ghala, which is essentially a Yemenite version of the American potluck dinner, a community event in which each person brings his or her own food and the group shares each others' treats. This Haaretz article by Ron Cahlili misleads by positing an idealised view of 'Mizrahi' history under Muslim rule. The oriental Jews, he says,'chose' to side with European Colonialism and Zionism: how much better might matters have been had they not have been so foolish. How absurd of them to want to escape from their status of precarious 'dhimmi' inferiority! “Dhimmi” is a deceptive term. On the one hand it implies an inferior, controlled civil and religious status, but it also defines the Jewish (and Christian) populations as religious minorities that are due protection. Yes, there were still some incidents of violence and oppression and harassment, but the system also enabled coexistence, shared culture, language, innovations and great achievements in philosophy, religious jurisprudence and other fields. One can certainly say that the current Jewish world would look completely different were it not for the innovations and changes wrought by Mizrahi Judaism, long before the Ashkenazim were born. The entry of a foreign entity into this delicate fabric of relations – first in the form of Christian-European colonialism and later by Jewish-European Zionism – essentially undid it. At first, most of the Jews in the Muslim world chose to side with colonialism and turned a cold shoulder to the longtime Muslim neighbor, which the neighbor perceived as ingratitude; and at a later stage, right after David Ben-Gurion’s 1941 “One Million Plan,” and the acknowledgement that Zionism needed Mizrahi Jews to realize its vision, many Jews once again chose (or were forced to) turn a cold shoulder to the Muslim patron. The latter also began to dream of a separatist nationalism, and couldn’t abide the repeated insult from its loyal subjects, and began attacking and plundering and also expelling the Jews of Arab lands to their new homeland. Seventy years after the Mossad LeAliya Bet’s Operation Michaelberg brought 100 Iraqi Jews to British Mandate Palestine by air, Israelis who were on the flight marked the anniversary together, at the site of the former Atlit Detention Camp. The hundreds of guests who attended the event on Wednesday night also included family members of the rescued Jews and aliya activists who had been involved in their immigration. An aircraft of the same model as the one they traveled on to the Lower Galilee village of Yavne’el in 1947 featured at the ceremony. Earlier this year, the Curtiss C-46 Commando transport aircraft was brought to Israel from Alaska, and restored. The Society for Preservation of Israel Heritage Sites, which brought the plane to Israel with the support of the Jewish National Fund USA, intends to turn it into an interactive display that will tell the story of the immigration to visitors to the Clandestine Jewish Immigration Information and Research Center, which is located at the site of the former British detention camp. “I am excited this evening, here in the Atlit refugee camp, as I was 70 years ago when I landed in the plowed field at Yavne’el,” said former Aliya Bet agent Shlomo Hillel, 94. Hillel led the operation, which was the first to bring Jews to British Mandate Palestine illegally via the air. 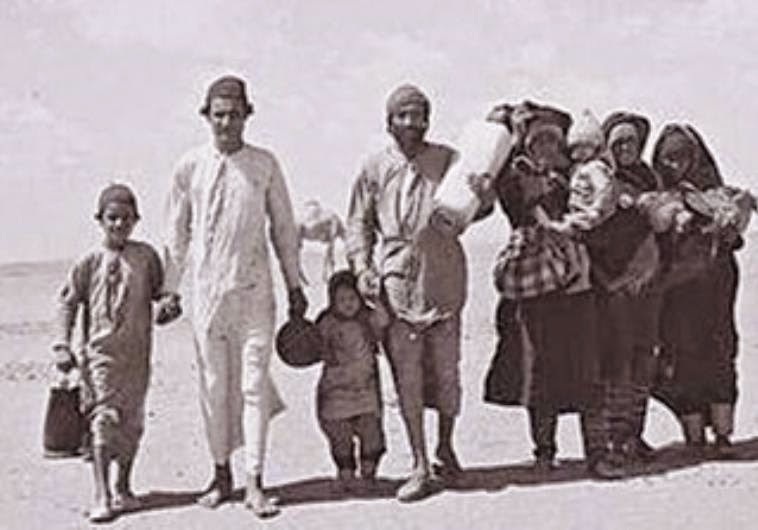 Immigrants told their children and grandchildren the story of their immigration to Israel. The operation was complicated and dangerous, carried out under the noses of the Iraqi authorities, and landing in Palestine in violation of British White Paper restrictions. 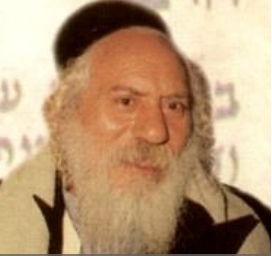 The Iraqi-born Hillel made aliya in 1934 with his family, at age 11. In 1946, he flew to Baghdad on an Iraqi passport and remained there for one year. After Operation Michaelberg, Hillel visited Baghdad again in 1950 to negotiate the mass immigration of the Jews of Iraq, 120,000 of whom were airlifted to Israel in Operation Ezra and Nehemiah between 1950 and 1952. On these trips, he disguised himself as either a Frenchman or an Englishman. The airlift was made possible through the cooperation of Iran. Algeria, under the control of Vichy France at the time, was introducing a series of anti-Semitic laws which stripped Jews of their French citizenship, barred Jewish children from public schools, and prevented Jewish doctors, lawyers, pharmacists and other professionals from working in their trades. “It was obviously not like the camps in Poland, but it doesn’t mean that there wasn’t persecution — and on that basis we believe that people are entitled to compensation,” said Greg Schneider, the executive vice president of the Claims Conference. There were approximately 130,000 Jews in Algeria during World War II, and it is estimated that about 25,000 of them are still living — mostly in France, Schneider said. As far as Blum remembers, being kicked out of the government school wasn’t so bad — he just had to go to a different school nearby, where all the students and teachers were Jewish. The Jewish school was not far from the French school, so he could still spend time with his old schoolmates. But historians say the bigger picture was bleaker. During the war, the quota for Jewish students in both primary school and high school in Algeria was lowered from 14 percent to 7%, according to Jean Laloum, a historian who specializes in contemporary Jewish history in North Africa at the Centre Nationale de la Recherche Scientifique in France. “It was catastrophic for parents that their children had no future because they couldn’t go to school. It was the worst of the measures,” said Laloum. In addition, after Algerian Jews were stripped of their French citizenship in October of 1940, the quota for Jews who could work as doctors, lawyers, pharmacists, midwives, architects, and in other professional fields was lowered to 2%. Many Jewish professionals lost their jobs. Jewish businessmen were also targeted after anti-Semitic laws were introduced to transfer property that was owned by Jews to non-Jewish businessmen. For example, in July of 1942, an Algerian law barred Jews from operating drinking establishments, which included both cafes and bars, Laloum said. 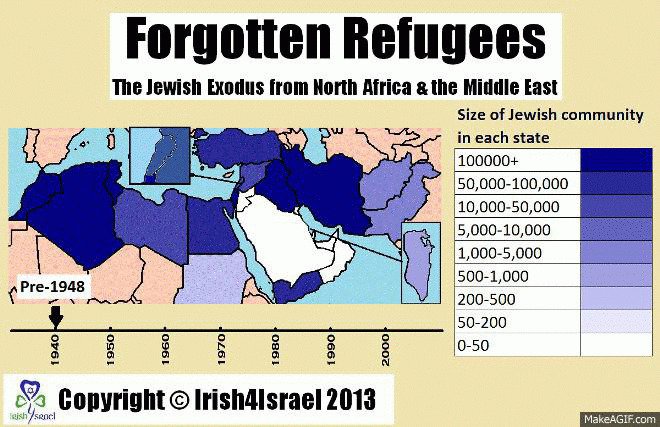 In addition, Jewish real-estate and businesses in Algeria were often taken away and transferred to Aryans. The homes where Jews lived were not seized, but their commercial properties were often targeted, said Laloum. Blum says that this actually almost happened to his aunt and uncle. They were arrested under fraudulent allegations, imprisoned and sent to court in Lyon, France. Luckily, the court in Lyon dismissed the case after finding the allegations absurd and his uncle was freed, he said. But according to Laloum and Schneider, many Jews in Algeria did lose their properties and businesses. “Jewish property was confiscated, I think it was common,” Schneider said. In addition to economic difficulties, historians say that there were also labor camps in southern Algeria during the war, and some of the prisoners were Jewish, although Laloum did not know how many Algerian Jews may have been sent to these labor camps. The prisoners in these camps had to break stones and build roads under the hot sun and the conditions were so severe that some prisoners died, Laloum said. While most people were sent there because they opposed the regime or because they were communists, a “certain number of Jews were imprisoned in these camps because they were Jewish,” Laloum said. In recent years, the Claims Conference has successfully persuaded the German government to expand the eligibility for compensation for more Jews who lived through the Holocaust. Most recently, the German government agreed to compensate Jews who had been in hiding for at least four months during the Holocaust, while previously the criteria called for at least a year and a half, Schneider said. Jews from the town of Iasi, in Romania, have become eligible for compensation since this past July. The German government even provides some funds to Jews from the former Soviet Union who never lived under Nazi occupation — such as those who survived the siege of Leningrad and those who fled from the war together with other Soviet civilians. More markedly, the German government has recognized the persecution of Moroccan and Tunisian Jews but has not done so for Algerian Jews — even though Morocco, Tunisia and Algeria were all similarly under the control of Vichy France during WWII. In Morocco — unlike Algeria — Jews did not lose their citizenship and their property was not seized, Schneider said. Still, Germany recognized that Moroccan Jews suffered from fascist persecution because some were forced to move into historic Jewish districts, called mellahs, which were similar to ghettos. These mellahs were not fenced off or locked, but they were Jewish neighborhoods nonetheless. German law recognizes forced residence as a type of persecution, Schneider said. 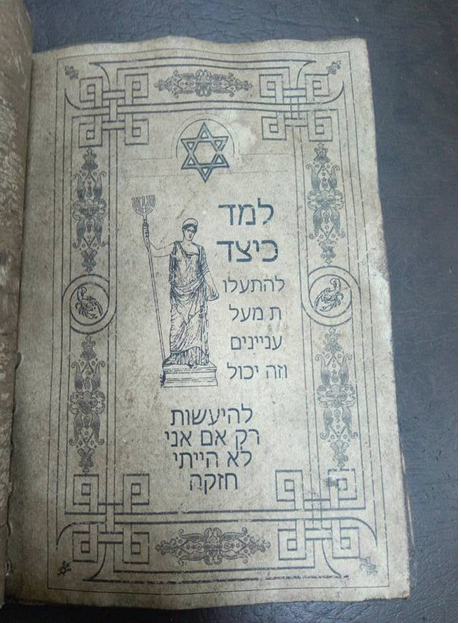 A collection of 18th century Jewish items was seized from archaeology smugglers by Egyptian authorities late last week in a joint operation between the Hurghada Ports Authority and the Egyptian Ports Antiquities Unit of the Ministry of Antiquities. This 'find' has aroused suspicion: it uses a modern typeface and its sentences make no sense. The smugglers attempted to move six Jewish artifacts via the Red Sea resort city of Hurghada. According to a report in AhramOnline, Ahmed Al-Rawi, head of the Central Administration of Seized Antiquities Unit at the antiquities ministry, said the seized loot was discovered in the possession of a Saudi citizen. Al-Rawi said the finds were authenticated in accordance with law 117/1983. Included in the trove was a cane with a handle carved in stone which depicts a bearded man wearing a yarmulke. Additionally, five stone reliefs engraved with texts written in Hebrew and other Jewish decorative elements were discovered, according to a Facebook post from the Egyptian Ministry of Antiquities. An additional find in the seized collection was a 29-page Hebrew book described by the Egyptians as “the commandments of Judas Iscariot,” one of the 12 disciples of Jesus. This item was not dated to the 18th century and its typeface points to a much more modern provenance. This article by the Iraqi journalist Mazin Latif in the Arabic medium Al-Gardenia explains how Iraqi cinema was pioneered by Jews in the first half of the 20th century. With thanks to Edwina R. for her translation from the Arabic. Until the late seventies, cinemas in Iraq were landmarks in Baghdad and a marketplace of culture and communication in all intellectual, social and literary fields. The role of the cinema in Iraq has a long history and the Jews of Iraq could serve as a conduit for the arts in Baghdad and other Iraqi cities because of their contact with European civilization, culture and knowledge of western languages. The Jews were interested in importing movies and setting up movie theatres. Jews had control of Columbia, which later changed its name to the Iraqi Film Company. Ezra Sudai and his brothers founded this company, specialising in American films. 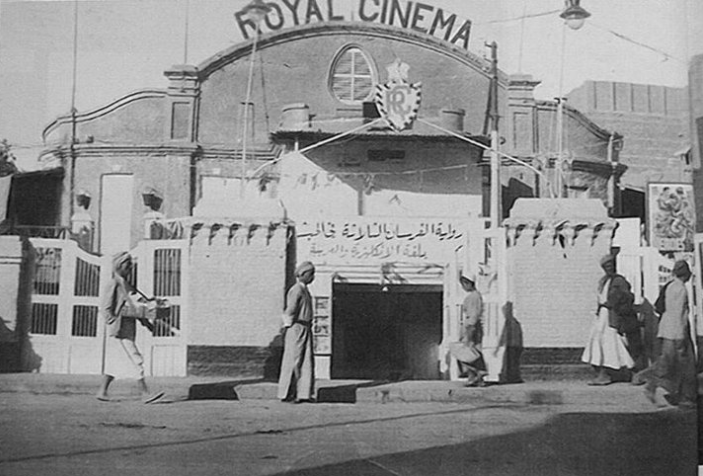 The company owned several theatres in Baghdad, including Roxy cinema, Broadway cinema, Baghdad cinema, Metro cinema and al-Rashid cinema. The Baghdad Cinema Company was founded in 1934 by four Iraqi Jews as a joint stock company with a capital of 34,310 Iraqi dinars. 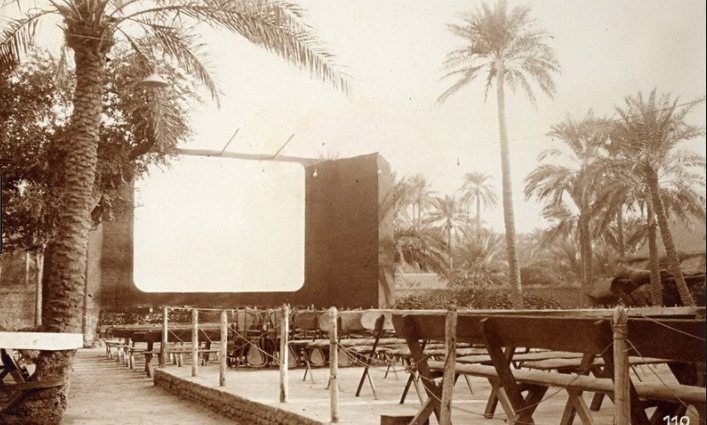 The first film was screened in Iraq on the night of July 26, 1909 in Dar al-Shifa, next to al-Karkh. Two years later, the Abkhana area saw another showing by a Jewish merchant specialising in the import of machines named ‘Blocky’. The first cinemas in Baghdad were outdoor cinemas. The outdoor film performances were organised in many cities by the British information service with a 16-mm mobile projector. 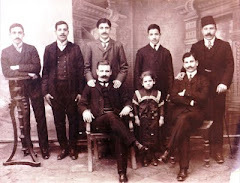 In 1920, another dealer established Cinema Central in Hafiz al-Qadi district. It later changed its name to Rafidain. The cinemas began to open in the Thirties of the last century. 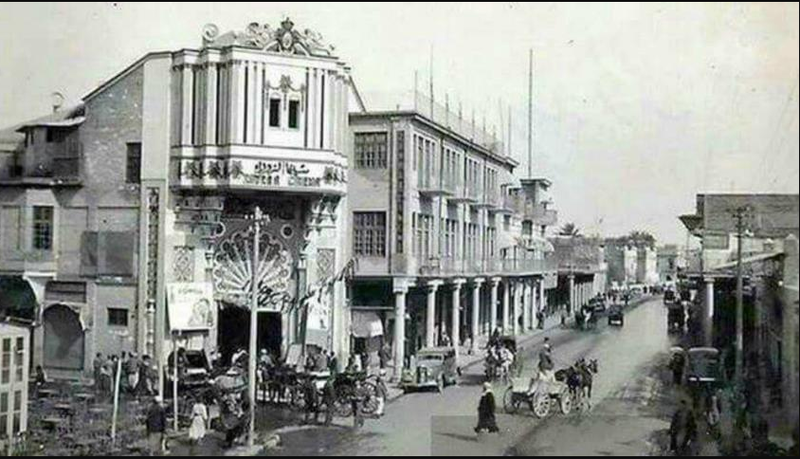 The Central Cinema was the first film theatre opened in Al-Ammar, Baghdad by a member of the Jewish community. It set a precedent. It helped encourage other investors to walk through the door. The Royal Cinema was opened in Baba al-Agha, the Iraqi cinema in al-Midan square, Al-Rashid cinema and al-Zawra cinema in the Al-Senak area opposite the al-Mabrouh cafe. The performances were widely attended by Jewish youth, and weekly screenings by families. 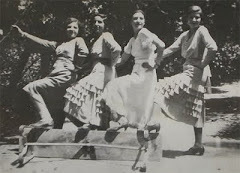 Although some local newspapers opposed the establishment of such entertainment centres because foreign films did not take into account the ‘social traditions’ of Iraqi society, they continued to attract increased demand from the general public at the time. The first film to be shot in Iraq was ‘Alla and Issam’ in 1948, the film whose script and songs were written by Anwar Shaul. He was a translator for William Tell of the works of the poet Sheridan. It was directed by Studio Baghdad, funded by the Sudai brothers. It was an unqualified hit. A website has been launched to propagate the teachings of Sephardi rabbis before they are lost to orthodox Judaism. A few weeks ago, a lecture on homosexuality by Rabbi Joseph Dweck, senior rabbi of Britain's Sephardi community, sparked a storm of outrage from fellow rabbis. The 'Dweck Affair' pointed to a fundamental difference in approach, pitting an inward-looking, sectarian, dogmatic 'Haredi' approach against a more open Sephardi attitude engaged with the contemporary world. Many religious Sephardim have absorbed 'Haredi' norms and their rabbis are often the product of Ashkenazi yeshivot where the works of Maimonides are not necessarily found on the bookshelf. It is to heal this divide in Israel, no less than in the diaspora, by making the words of Sephardi sages more accessible, that an online database was created called 'A Daily Sage'. 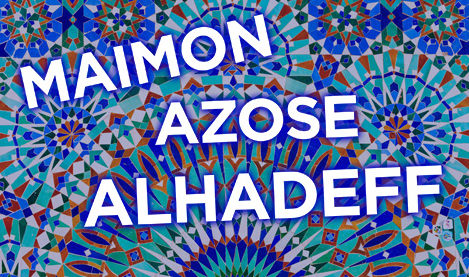 'Sephardi and Mizrahi Jewish identity, as seen through the writings and teachings of the Sephardi sages, is at a critical tipping point. These tolerant voices have tremendous value for the entire Jewish people and the need for them to be heard and shared is more pressing than ever before. The Daily Sage has 500 pages and hundreds of sources from the writings of Sephardic and Middle Eastern Jewish sages. The project aims to feature 1,000 Sages over the next four years. The website is currently in Hebrew but the first 100 Sages are being translated into English. 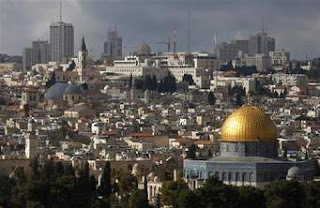 The government should expropriate disputed properties in the Sheikh Jarrah neighborhood of east Jerusalem and give them to Arabs living in them, The Jerusalem Post has reported former attorney-general Michael Ben-Yair as saying. Ben Yair claims that an exchange has already taken place, with Jews given 'double compensation', as they are able to sue for restitution, as well as living in Arab property in west Jerusalem. But this is not always the case. Additionally, the Israeli courts have always protected the rights of the Arab tenants, except where these have failed to pay rent. Ben-Yair, whose family owned properties in the neighborhood before 1948, was speaking from the house of the Shamasneh family, who are under threat of eviction and supposed to leave their home on Sunday. 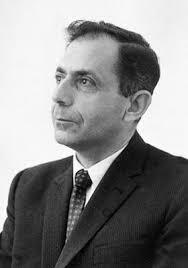 “If the Israeli government would have acted decently toward all its residents, including you [the Arab residents], it would have appropriated the properties in the neighborhood [from their Jewish owners who lived there before the War of Independence] and given these properties to the Palestinians who live there today,” said Ben- Yair, who served as the attorney-general under prime ministers Yitzhak Rabin and Benjamin Netanyahu from 1993 to 1997. “My family and the family of my cousin who were forced to leave the neighborhood in January 1948 got properties of Palestinians refugees on Jaffa Road and in the Katamon neighborhood in west Jerusalem,” he added. Ben-Yair said if Israel will conduct land registration in Sheikh Jarrah, he would demand that the ownership of the building that his family had would go to the Arabs who live in it today. “The current Israeli law that enables double compensation only for Jews for [lost] properties in east Jerusalem from the times before 1948 is unjust,” he said. The Jerusalem Post has learned that the Bailiff’s Office issued an order to the Shamasneh family to leave the house it has been living in by last Wednesday, following a Supreme Court ruling from 2013. After appealing to the Jerusalem Magistrate’s Court, the family received a five-day extension that will expire on Sunday. The family is now carrying out a legal battle along with activists to prevent the eviction. Eyal Raz, an activist opposing the eviction, told the Post that the family’s lawyer, Sai’id Ghalia, plans to appeal to the magistrate’s court once again on Sunday. These kind of evictions happen in cases where Arabs are living in properties owned by Jews from before 1948, who were forced out when Jordanian seized eastern Jerusalem. Under Jordanian rule, these properties were under the jurisdiction of the Jordanian Custodian of Enemy Property, and Arab refugees, mainly from the Jerusalem area, were housed there. Since Israel reunified the city in 1967, legal disputes have been taking place over some of these properties. 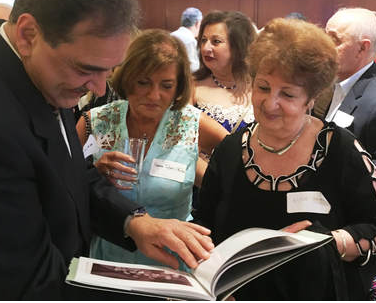 When alumni of the Frank Iny School, the last Jewish school in Baghdad, held a reunion last week in Montreal, it was a chance to reminisce and catch up with old friends, most of whom had fled Iraq after 1967. 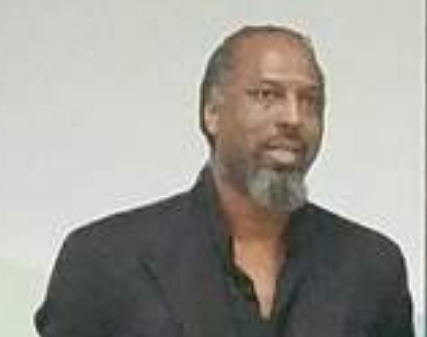 For blogger Marcus E. Smith, attending the event was to open his eyes to a close-knit but oppressed community, which he had no clue existed when he was a soldier in Iraq. 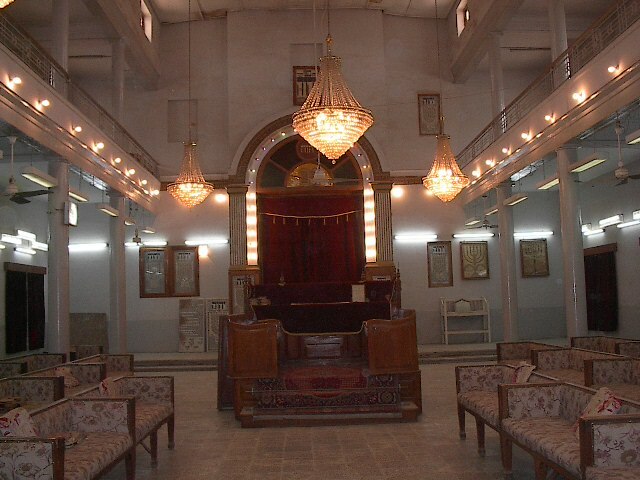 Named after its benefactor, the school had been one of many Jewish schools in the city but when it moved to a newly completed facility in the old Baghdad neighborhood of Alwiyah in 1951 it then served as the sole Jewish high school and, thus, a focal point of the now small Jewish community in Baghdad. Weddings, Bar-mitzvahs, Graduations. The school acted like a magnet, drawing its students and their families closer inward, strengthening the bonds of the community. Meanwhile, the persecution that precipitated the mass migration abated significantly and the remaining Jewish community carried on working, going to school, and raising their families. Like other Iraqis in Baghdad, they swam in the cool waters of the Tigris and slept away the hot summer nights on their terrace rooftops. They tuned in to radio Baghdad as revolution brought an end to the monarchy in 1958. 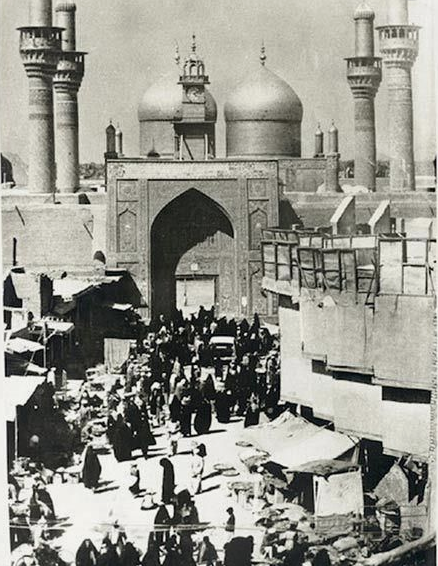 Regimes came and went in the decade or so following the revolution but daily life continued largely undisturbed for the residents of the Iraqi capital, including the Jews. At the Frank Iny School the students tackled the most rigorous curriculum in the country, studying their subjects in English and French as well as their native Arabic. The program was so renowned for its quality education that a number of prominent Muslim families sent their children there. 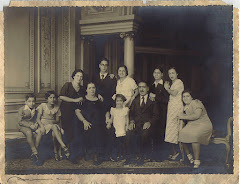 Jewish families, wary of what the future held for them in Iraq, sought education for their youth that would provide opportunities abroad, yet they continued to enjoy their lives in Iraq. Attending the cinema with friends. Weekend trips to the countryside. Long evenings at the Jewish country club or at a local café playing games and socializing. On weekdays many went to work alongside Muslim and Christian business partners and clientele. Some Jews called this period in the 1950s and early 60s a “return to normalcy.” Others “a golden age.” Whatever they call it, they all agree that 1967 was a turning point. Many Iraqis continued to conflate all Jews with the Zionist project in Israel, which Iraqis considered an affront to Arab independence. When Israel dealt a crushing blow to its Arab adversaries in the Six Day War of 1967, many Iraqis including some in the government once again turned on their Jewish neighbors. Accused of espionage, their phone lines were cut. Assets were frozen. Travel restricted.Arbitrary searches, surveillance, and arrests ensued. Relationships with Muslim acquaintances were tested as associations with Jews could invite trouble. The Ba’th Party coup a year later brought an escalation of this crisis as the new government played up the false claims that Jews were engaging in espionage for Israel. It fabricated evidence of an elaborate spy ring and brought several Jews up on charges in a widely publicized show trial. Nine Jews and three others were convicted and executed, their bodies displayed in public squares in Baghdad and Basra where thousands gathered to celebrate what the state touted as a victory against Zionism and Imperialism. Abarbanel: From the Hebrew word 'Av' meaning 'father' , 'Rabban' meaning 'priest' and 'El' meaning 'God'. 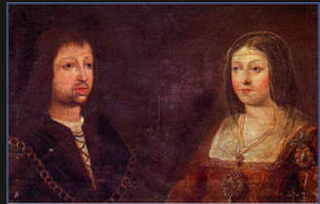 One of the oldest Spanish family names which traces its origin from King David. Abecassis: From the word 'Av' meaning Father and Arabic 'kassas' meaning storyteller. 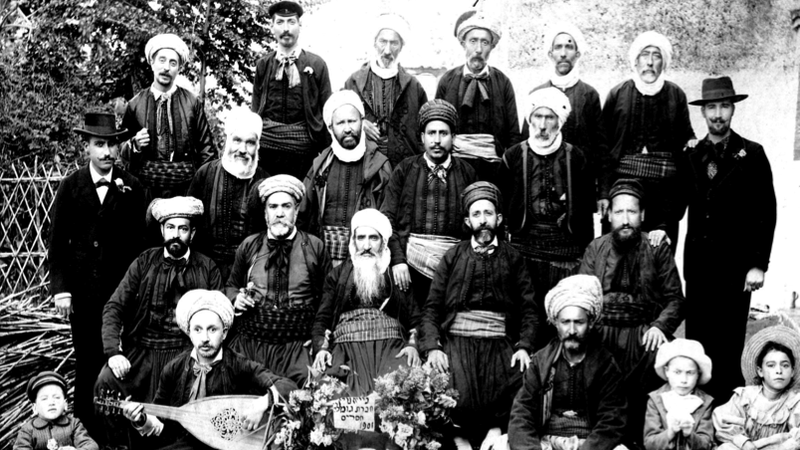 In Algeria, community leaders and rabbis were given the title 'Kassis'. Many Jews from Gibraltar, Portugal and Morocco share this name. Adatto: From the Italian word meaning 'suitable' or 'appropriate'. Jews that left Spain for Turkey via Italy took on this name. Alhadeff: The name means "weaver" and is of Spanish/Moorish origin found most often among Jews who left Spain after the expulsion for the Greek Island of Rhodes. Alkana: Meaning 'God bought' in Hebrew. Almo/Almosimo: From Spanish meaning 'One who gives to the poor'. Amiel: From the Hebrew words 'Am' (nation) and 'El' (God) meaning 'God's people' or 'the people of God'. Angel: The surname comes from the Hebrew word of 'malach' meaning 'angel'. The Angel family traces back to medieval Spain and migrated to Greece and the Island of Rhodes. Ashkenazi/Eshkenazi: Ashkenazi meaning 'German'. The Sephardic carriers of the surname would have some Ashkenazi ancestors who moved to Sephardi countries and joined and were adopted by those communities. 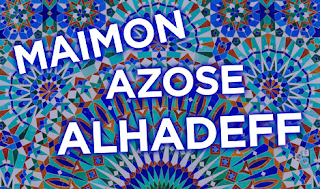 Azose: Anglicized version of the surname 'Azuz'. The root of the name comes from the Hebrew word for strength – 'Oz'. Behar: Many origins of the Behar surname. From the Hebrew 'behor' meaning 'eldest' and the Turkish word, 'Bahar', meaning Spring. Also from Spanish 'abeja' meaning bee. Behar is of pre-roman origin and is also the name of a town in the Spanish province of Salamanca and was probably a habitational name for many Jews of that province. Many Sephardic Jews from Bulgaria and Greece carry this surname. Benarouch: A patronymic name meaning 'son of the head (leader)' in Hebrew. BenPorat: A patronymic name meaning 'son of the prosperous' in Hebrew. Benezra: A patronymic name meaning 'son of the helper' in Hebrew and a popular name among Spanish Jews. There is a tradition that this family name is of priestly (Cohen) lineage. Benaroya: From "Ben" meaning son and "Arroyo" meaning rivulet or river in Spanish. Banaroya is a variant of BenArroyo or BenArollia. Benveniste: From the Latin 'veniste' meaning 'you came' and 'ben' meaning 'son' in Hebrew. This was a widespread Sephardic family originating in Spain that dispersed throughout the Ottoman Empire following the expulsion. Benzaquen: Patronymic name meaning 'son of the elder' in Hebrew. The French philosopher Bernard-Henri Levy, writing in The Tablet, has only just discovered the fascinating story of General Jack Jacob, but his name will be familiar to Point of No Return readers. This story may seem unlikely in this era of generalized war between cultures, civilizations, and religions. And I am grateful to British journalist Ben Judah for having brought it to light in an article that appeared in the Jewish Chronicle the day after the visit to Israel of Indian Prime Minister Narendra Modi. The time is December 1971. The place is the territory then known as East Pakistan. Separated by 1,600 kilometers from West Pakistan, this Bengali part of Pakistan has been in rebellion since March. The central government in Islamabad, rejecting the secession of what will eventually become Bangladesh, is engaged in a merciless repression, the cost of which, in lives, remains unknown even today, almost a half-century later. Half a million people may have died, of perhaps a million, 2 million, or more. On Dec. 3, India decides to enter the conflict, to “interfere,” as one would put it today, in the domestic affairs of its neighbor so as to stop the bloodbath. The fighting rages. The Bengali freedom fighters, known as the Mukti Bahini, now supported by India, become increasingly daring. Niazi, falling into the trap, chooses the second option. To the world’s amazement, 3,000 Indian soldiers accept the surrender of 90,000 Pakistanis. Tens of thousands—no—hundreds of thousands of lives on both sides are spared. Palestinian restaurants fall into the same category of tried and true traditional food, and being indigenous to the region, the foods there didn’t have to undergo the adaptations that other cuisines, such as Yemenite or Ashkenazi, underwent when moving to Israel. This article in the Washington Post - thoroughly disappointing but not unexpected in view of the anti-Jewish brainwashing prevalent in the Arab world - shows that antisemitism even among Arab refugees - is alive and well. 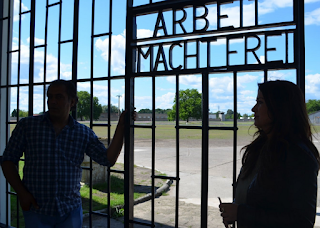 Even a visit to a German concentration camp cannot dispel the idea that the Jews deserved to die, or that the Holocaust was not something uniquely evil. “Maybe the Jews want to keep these places going so they can be seen as victims forever,” he said of Sachsenhausen, which was mainly used for political prisoners but by the beginning of 1945 held 11,100 Jews. Jamo’s response is not the usual reaction toEurope’s postwar conversion of concentration camps into memorials and museums, places of atonement and civic education that ask visitors never to forget the Nazi past. But this was not a typical tour — nor was Jamo a typical visitor. This was an effort to sensitize Muslim migrants to the dark history of the country that today offers them asylum. Two years ago, Jamo, 38, fled to Germany from Kobane, a Syrian city occupied by Islamic State militants in late 2014. His ambivalent response to the suffering of Jews at Sachsenhausen speaks to centuries-old religious strife as well as to the political conflict that has torn the Middle East since Israel’s founding after World War II. 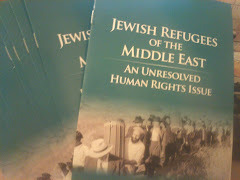 At the same time, the refugee’s views reflect the moral quandaries posed by mass migration for a nation rebuilt after the Holocaust on a set of bedrock principles that includes responsibility to the Jewish people. 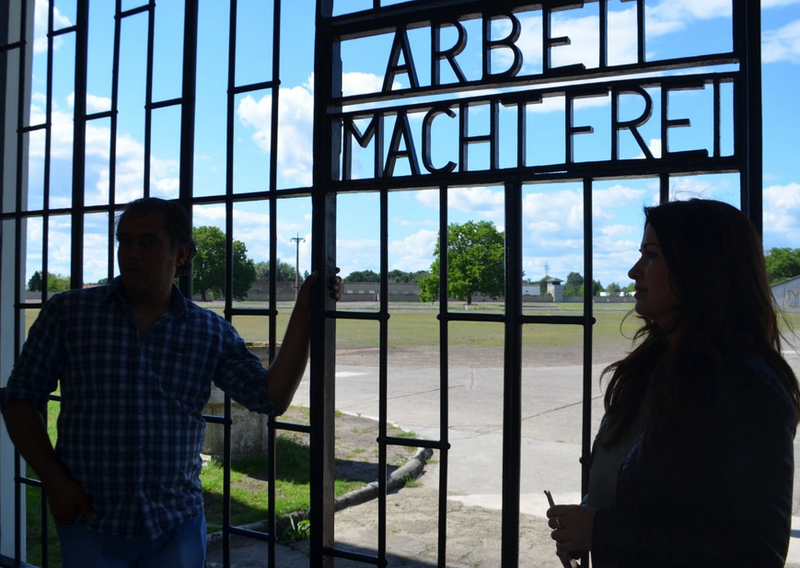 Jamo was exploring Sachsenhausen with R.future-TV, a nonprofit in Berlin that brings together refugees to discuss German history and social issues, featuring them in short films on topics from theology to gender equality. The project, run by two actors, Nina Coenen and Sami Alkomi, has received 9,000 euros of public funding for five films. The spectacle of brutality on display at Sachsenhausen did not awe Jamo, a former photographer who had known daily violence in Syria. No matter the direct perpetrator of the violence Jamo had witnessed, the greatest cause of conflict in the region, he said, was Israel. “Israeli aggression is the most basic problem,” he said. He spoke bluntly before a video camera that followed him around the site of the former camp. His remarks will appear in a documentary film about how refugees in Germany understand the mass murder of Jews. In survey results released this year, an independent panel set up by the German Parliament found that Jews were “increasingly concerned for their safety,” with respondents ranking Muslims as the group most likely to commit physical and verbal attacks. Lawmakers pledged to respond but have deferred action until after the September election. Armin Langer, coordinator of the Salaam-Schalom Initiative, an interfaith group based in Berlin, said this charge is used to vilify immigrants. At Sachsenhausen, Kareem and Jamo peered into the gaping trench where prisoners were shot, examined images of the dead and took cellphone photos of each other by the crematorium. Kareem said he recognized that Germany had violated human rights. They decided the Jewish people could be distinguished from the state of Israel. Shakshuka, a North African dish of eggs poached in tomato sauce, means “mixture” in Berber languages, and as the name implies, it is a simple dish that anyone can make at home. Making it well, however, is a different matter. This is where Bino Gabso, a.k.a. Dr. Shakshuka, comes in. Charming portrait in The Tablet by Dana Kessler. 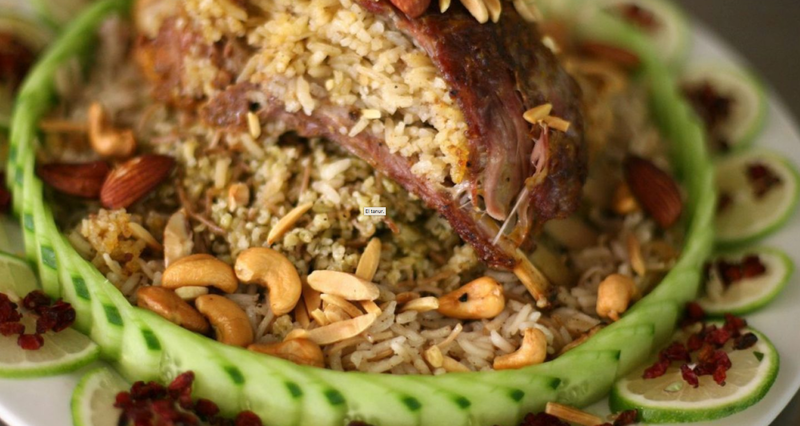 Gabso is a celebrity chef known for his North African home-cooking style. His Jaffa restaurant, called—of course—Dr. Shakshuka, includes dishes like couscous, mafroum (stuffed potatoes), chraimeh (spicy fish), and lamb or chicken shawarma, as well as the signature dish that earned Gabso his nickname. His trademark is the personal frying pan in which he serves each shakshuka: “That’s my invention,” he boasted. His establishment has been feeding Israelis and tourists for decades. This summer, however, Gabso is busy with his new culinary venture, which he just opened in Tel Aviv. Bino be-Pita (“Bino in a pita”) has more of a fast-food vibe. “It’s a casual place and passersby can just come in,” Gabso said. “People are very happy that we came to the neighborhood.” Not to worry. The new restaurant still has shakshuka on the menu. Gabso’s parents immigrated to Israel from Libya in the 1950s. His father opened a restaurant in Jaffa called Tripoli, named for the Libyan capital where he had lived, which was also the center of Jewish life in the country. 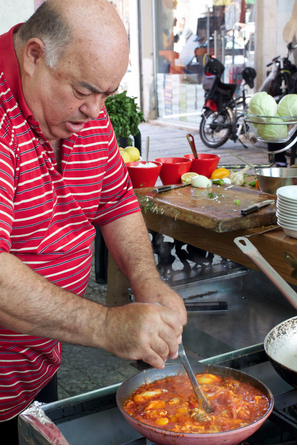 Gabso, who was born in Jaffa by the name of Yosef Binyamin Gabso, started working in his father’s restaurant at age 12. In 1991, after his father died, Gabso took over the restaurant and redubbed it Dr. Shakshuka. The restaurant, next to the Jaffa Clock Tower and flea market, grew and grew. “I never thought I’d have such a large restaurant,” he told me. “I have the courtyard in the middle, and gradually I took over all the places around it. It’s like a piazza. The story of how—and where—Gabso perfected his shakshuka is well-known Israeli folklore: “In addition to the restaurant, my family had a money-changing business, which I also worked in,” he said. “Every time I closed a deal, I would come to my parents’ house, and my dad would make me shakshuka in a pan. That’s where my dream of making people shakshuka in a personal pan came from. This was the 1980s and changing money was illegal in Israel. People would get fines but no one was sentenced to prison. Then I got caught and I got 15 months in prison—it was a precedent. ”While in prison, Gabso started cooking for the other inmates and for the guards. The prison would provide him with the basic ingredients—eggs and tomatoes—and his daughter would bring him filfel chuma, the hot sauce of Libyan Jewish cuisine. The recipe he perfected on a portable burner in prison earned him the nickname Dr. Shakshuka, which one of the inmates made up. 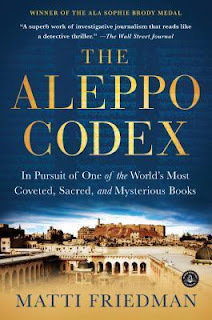 In his book, The Aleppo Codex, the Canadian-Israeli journalist and author Matti Friedman uncovers a murky tale and raises serious questions about who owns communal Judaica - the community or the state? 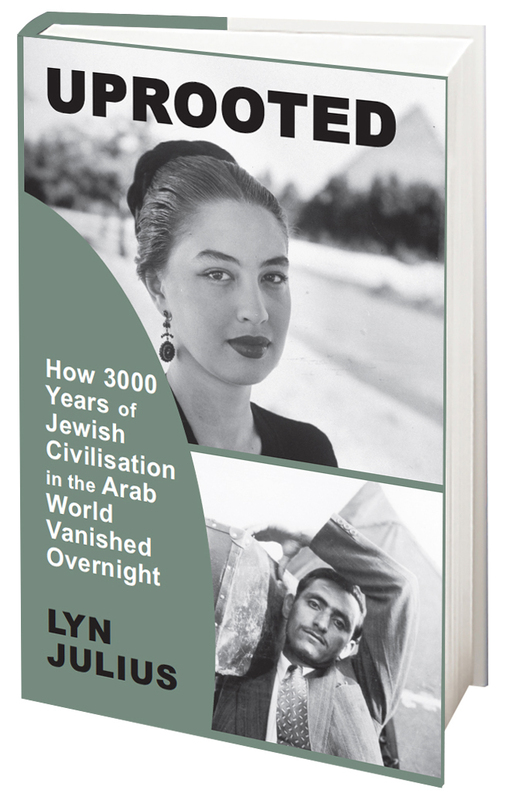 Lyn Julius reviews his book in The Times of Israel. It was back in 2008 when Matti Friedman, then a journalist with the Associated Press news agency, first wrote about the Aleppo Codex. This most ancient and precise version of the Hebrew bible, bound as a folio for ease of reference, was guarded by the Jews of Aleppo in a dark grotto under their Great Synagogue, its annotations threatening that a curse would befall whoever dared steal its pages. The Codex was, so the accepted version goes, badly damaged by fire in the 1947 riots which caused most of the Jews to flee, but was salvaged and smuggled from Syria to Israel where it finally reached safety at the Shrine of the Book in Jerusalem. That had been the story of the Aleppo Codex, until Matti Friedman decided to delve a bit deeper. Every one of those initial assumptions turned out to be false, he found. His investigations resulted in a 300-page update: Friedman’s book, ‘The Aleppo Codex’. For a start, the Codex did not originate in Aleppo. It was written in Tiberias in 930 CE, survived the Crusader siege on Jerusalem, was shipped to old Cairo, where it was studied by Moses Maimonides in the 12th century, before finally reaching Aleppo. Next, the Codex was not damaged by fire, but by poor storage. It was not taken immediately to Israel, but was kept in private hands in Syria for almost 10 years after the riots. The third myth is that, once smuggled out of Syria, the Codex was bequeathed to Israel as its national heritage. It was not. The Aleppan Jews had intended the treasure to remain within their community and fought an obscure court case to retrieve it. The saga of the Codex raises serious questions. Who owns communal Judaica? The tussle between nation and community is a familiar one to Jews whose property was looted in Arab countries, but Israel is not normally associated with such ownership struggles. Friedman hints that the looting of artefacts may have been widespread in Israel. 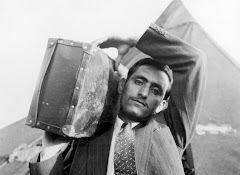 Yemenite Jews on their way to Israel who left their Torah scrolls and artefacts in crates for safekeeping told Friedman that when they came to claim their articles, the crates were empty. The Jews of Aleppo lost their legal case to their main rival in the struggle for possession of the Codex: no less than the president of Israel himself, Itzhak Ben Zvi, who had an abiding passion for the books and culture of the Jews from the East. But having won official custody of the Codex, the Ben Zvi Institute failed in its duty to conserve it properly by shutting it away from view in an office, under sub-optimal conditions. There is a further question: what happened to the missing pages? The Codex was said to be intact when it was taken to a hiding place after the Aleppo riots. The mystery propels Friedman into the murky, sordid and cut-throat world of the international black market in old books and precious documents. Individual pages were seized as a good-luck talisman by superstitious Syrian Jews in Brooklyn, but we are talking here about the disappearance of 40 percent of the Codex: 200 pages from Genesis to most of Deuteronomy. Whodunnit? Was it an Israeli bureaucrat? A leading dealer of rare artefacts? A corrupt people-smuggler at the Syrian border? Was it the director of the Ben Zvi Institute himself? The whole embarrassing affair is shrouded in silence and secrecy. Friedman keeps the reader guessing. Friedman is one of the rare Israeli journalists writing in English today to have opened up a window on the neglected world of the Jews from Arab countries – a world which continues to fascinate him. He interweaves a backstory of Syrian Jews escaping from rampaging mobs in 1947 or with the ‘jumps’ – risky smuggling operations through Lebanon and then by sea to Israel. 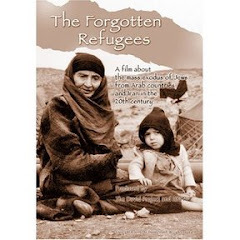 For many readers, this is the first time that they learn of the predicament of Jews fleeing Arab lands to save their lives, and the destruction of their age-old communities. Against the backdrop of the events on the Temple Mount and the recent terrorist attacks, the Foreign Ministry in Jerusalem was very surprised to see a dramatic increase in the number of Israel sympathizers in Iraq. Yonatan Gonen, head of Arabic-language digital diplomacy at the Foreign Ministry, who also runs the Foreign Ministry's Facebook and Twitter accounts, said that the ministry has been flooded with pictures and messages of sympathy, support and even a desire to establish relations between the two countries. In addition, several new Facebook pages were opened, and even an Arabic-language website was created to bring Israelis and Iraqis together. The reactions include harsh criticism of "the hypocrisy of the Arab peoples," with an emphasis on the Egyptians and the Jordanians, whose countries have signed a peace treaty with the State of Israel. One of the main arguments raised by the respondents on the matter is that if they oppose normalization with Israel, they should act to cancel the peace treaty with Israel before they start complaining. Another central argument is based on the approach that normalization with Israel is not shameful, as long as the interests of both countries are preserved. At the same time, some respondents admit that the desire to establish relations with Israel does not stem from their love for the country, but rather from their disappointment with the Arab states and their desire to eliminate terrorism in their country. For example, Zaid, from Baghdad, wrote to the Israeli Foreign Ministry, "All the Iraqis are with you, not necessarily out of love. Israel did not (even) throw stones at us while the Muslim Brotherhood sent suicide bombers and financed them to fight us." 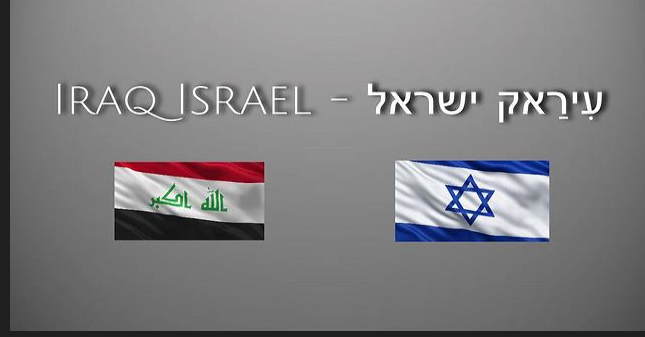 Abdullah Bassem from Baghdad wrote, "A message from Baghdad to Tel Aviv: We recognize the State of Israel—the chosen and the victorious people. Fakestinians (a derogatory term for Palestinians) are traitors and terrorists. 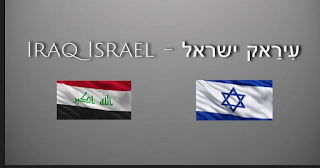 We, as Iraqis, will be happy to visit Israel and welcome a visit by Israelis to their second homeland, the great nation of Iraq." Bader from the city of Basra wrote, "The Iraqis have suffered for years, while the Israelis have been refusing to accept terrorism for decades. The Palestinians must be expelled to countries that adopt and teach death and destruction." 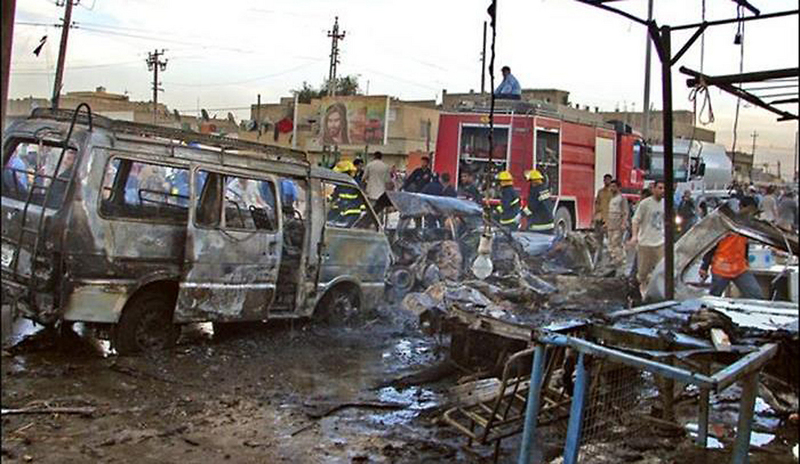 The scene of an attack in Baghdad, in which 55 people were murdered, carried out by a Palestinian terrorist. The Foreign Ministry's digital staff responded to Bader, saying, "We share your courageous view and know that you have suffered. We are in the same boat as far as terrorism is concerned and hope that Iraq's sons will enjoy security. As for your advice, we will never expel anyone, because we are all from the same region and there is no escape from living together. We believe in peace in the region." An interesting and recurring point in the reactions of the Iraqis who wrote to the foreign ministry is that the State of Israel is an existing reality and a fait accompli, and it is a shame to waste energy and resources in an attempt to change this reality. Quite a few even wrote that the Iraqi people are tired of killing and bloodshed, and that normalization with Israel will promote Iraq economically and help rebuild it. Many have also harshly criticized the Palestinians as "ungrateful," after reports that no less than 1,200 Palestinians have committed serious attacks on Iraqi soil and killed hundreds of Iraqi people. Individual responders even went so far as to say that if the Al-Aqsa Mosque was controlled by the Palestinians, it would become an arena of terror attacks and bloodshed. On the other hand, there are Iraqis who told the foreign ministry that every self-respecting Iraqi is committed to fighting Israel and to "liberating Palestine and Jerusalem." Bashir, for example, wrote, "I, as an Iraqi, think that hostility to Israel is a duty just as we must fast and pray. The victory of our Palestinian brothers is a must. We— Sunnis and Shiites, Christians and members of all ethnic groups—love Palestine." "It seems that the Iraqi people are divided on the matter, but the very fact that such opinions are voiced openly and without fear indicates that this is not a negligible phenomenon," said Gonen. "It is clear that if such opinions were uttered 20-30 years ago, the people who expressed them would be probably hanged." The loss of Jewish communities within predominantly Arab Muslim lands in the last 70 years has been a cultural and historical catastrophe for these countries. Oral traditions and stories of co-existence have been lost and so has the chance to explore this history and its uniqueness that could have been an antidote to the separationism that has crept in on the back of Israel and Palestine debates. Therefore the loss of Iraqi Jewish communities, had led to the loss of a bit of the soul of Iraq, a trauma that the country cannot get over, without a return of Jewish cultural life and heritage into the country. The chances of that happening are minimal, but people like Shuker, who courageously travel to Baghdad and who picture Jewish institutions and homes, keep that hope alive. His work is more than important, it is essential in restoring the history and heritage of Iraq. 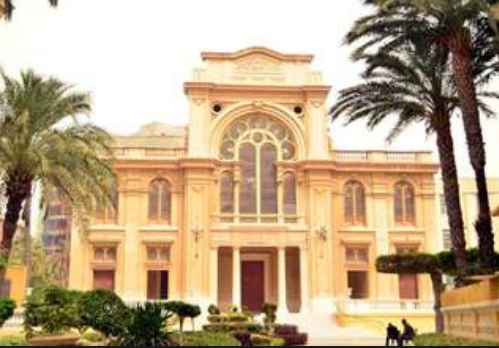 A report on Israel's army radio quoting sources stating that the handful of Jews still in Egypt will have to pay the cost of repairs to an Alexandrian synagogue has been dismissed as 'fake news'. 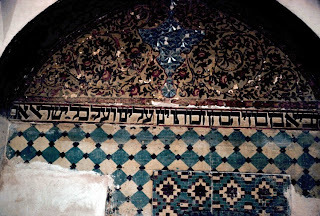 Levana Zamir, head of the Association of Jews from Egypt, corrected the impression on her Facebook page that Egypt's few Jews - numbering no more than five in Alexandria and six widows in Cairo - would have to bear the financial burden of repairs to the Eliyahu Hanavi Synagogue, where the roof of the ladies' gallery has collapsed. She added that the cost of renovation is a respectable $5.6 million, not the $22 million quoted by some sources. The money is to come from the US, which regularly finances the preservation of Egypt's Pharaonic heritage, antiquities and archeology. 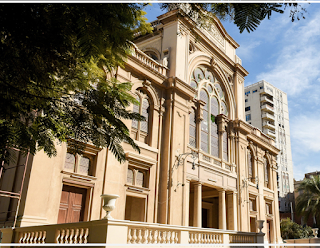 After intervention from the American Jewish Committee and the Nebi Daniel Association, the Egyptian Ministry of Antiquities agreed to allocate the sum of $5.6 million to repair the Eliyahu Hanavi Synagogue, now considered an Egyptian antiquity. 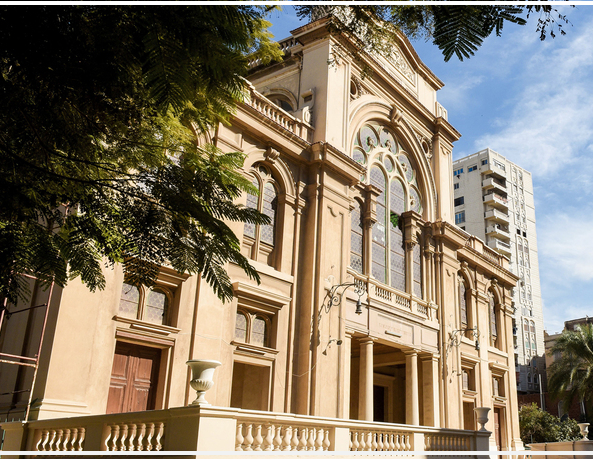 A synagogue has stood on the site for 2,000 years, but it was in the 19th century that the present grand Italianate building was erected in Nebi Danel street, Alexandria - the biggest in the Middle East. As Levana Zamir explained in a radio interview on 10 July, organisations representing Egyptian Jews around the world have long offered to pay to preserve Egypt's Jewish heritage from their own coffers, but Egypt has insisted that Jewish sites are part of its national heritage. Mrs Zamir praises President el-Sisi for having had the courage to allocate a sum for the preservation of the Eliyahu Hanavi Synagogue as part of a wider restoration programme. 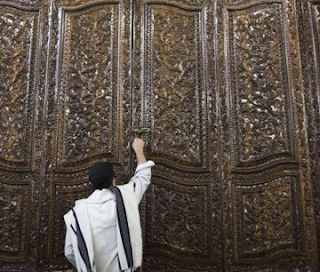 Of Egypt's sixty synagogues, only 16 are still standing, most in serious need of restoration. No prayer services are held.